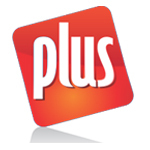 Plus is general purpose accounting software suitable for Accountants, Traders, Dealers, Distributors, Industries, Mobile Shops etc. 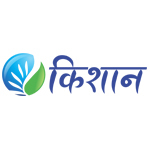 It has unique features like Scheme Management, Auto Bill From Order, Packing / Crate Stock, Android Mobile connectivity etc. 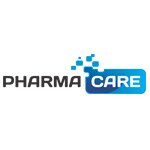 Pharma Care is accounting software for Retail / Wholesale Medical business. It has unique features to satisfy all the special requirements of medical stores like billing, inventory management etc. 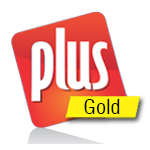 Plus Petro is specialized setup of Plus for Petrol Pumps. It Provides complete computerization of petrol pump with DIP reading, Pump Meter Reading, Auto Bill generation from Reading, Daily status chart summary, vat form 212, vat form 213 etc. Plus Textile is setup of Plus for Textile wholesalers / Dying & Printing Mills with Weaver / Mill wise stock & Job Work management. It provides Accounting up to Balance Sheet as well as TDS and VAT reports required for Textile Traders / Mills. POS Plus is Point of Sale software for Retail Stores, Super Markets, Malls etc. It Provides fast sales entry with barcode scanning and touch screen support with multiple payment options (Coupan, Credit/Debit Cards, cash, debit etc..) and print support on thermal, laser / inkjet and dot matrix printers. Plus Lite is General Purpose Accounting Software Suitable for Accountants, Small Business Accounting with only Rs.150/Month Subscription Fees. Plus Ginning is special setup of Plus for Ginning / Pressing & Spinning Industries. It provides all the entries and reports required for Ginning / Pressing & Spinning Unit and provides accounting up to Balance Sheet.